Christian White is a name you’ll soon be hearing more of. The Aussie author’s first novel, The Nowhere Child, won the prestigious Victorian Premier’s Literary Award for an Unpublished Manuscript in 2017 and became an instant bestseller when it finally went to print in 2018. To add to his extensive and talented writing abilities, White has also co-written a psychological horror feature film, called Relic. The film, which is currently in production, will be among the topics up for discussion when book reviewer and radio presenter Elizabeth McCarthy sits down with White for a Sydney Writers’ Festival author talk. 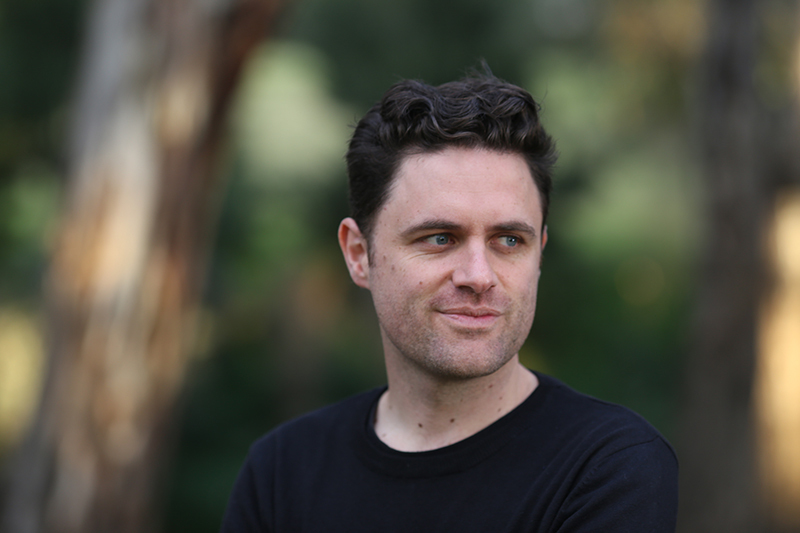 Focus spoke with Christian ahead of his appearance at Castle Hill Library on Thursday, May 2 about what inspires him, his tips for aspiring writers and his transition from author to screen writer. Q: Where do you draw inspiration for your novels from? A: I think ideas and inspiration are like little barnacles clinging to the belly of a whale – you pick them up as you drift through life, everywhere you go and in everything you read. Some of them amount to nothing, and others cling together to form an idea. For me, this usually happens while I’m walking the dog, or in the shower, or when I have nothing to write with. I also have a range of subjects I get obsessed with and find that a good idea usually merges two or three of those obsessions. When I was writing The Nowhere Child, I was obsessed with missing persons cases, the complexities of memory, and Pentecostal snake handling. All I did was shove them all together to see what happened. Q: Your novel The Nowhere Child became an instant bestseller when it was published in 2018. What’s your secret to success? A: Before I was lucky enough to make it my day-job, I assumed that after I died, my grandkids would be cleaning out my assisted living unit, slinging open windows to let the old-man smell out, and they would stumble across a dusty old pile of unpublished manuscripts. Honestly, I was totally fine with this fate. I always dreamed of being published, but really, I was just writing because I love to write. I remember a line from the movie Rushmore, where Max (Jason Schwartzman’s character) says: “I guess you’ve just gotta find something you love to do, and then do it for the rest of your life.” So, if there is a secret to success (and I’m not sure there is), it would be to love writing. Don’t write to be a writer. Write to write. That way, those countless long nights spent behind a word document will never be a waste. Q: Do you have any tips for aspiring authors? A: Writing is like trying to lose weight, at first you tend to search for the quickest and simplest way to do it, when the boring old truth is, what you really need to do is eat well and exercise or, in the case of writing, read a lot and write a lot. I slogged away at the craft for a little over fifteen years before I became an ‘overnight success’, so you need to be ready to put in the time. But luckily, writing is so much fun, and rarely feels like work. Also, run to Castle Hill Library and read On Writing, by Stephen King. In it, he lays out everything you need to know about writing a novel. The Nowhere Child was the fifth book I started, second I finished, and first I thought was good enough to show anyone. I credit that to reading On Writing. I followed King’s plan and drew inspiration from his life story, and ended up with The Nowhere Child. Q: Where’s your film Relic up to? How did you find the transition from novel writing to film? A: Relic is currently in post-production and hopefully I’ll be able to share some information about release dates soon. My wife and I recently watched an early cut of the film and it gave her nightmares, which means I’m doing something right, but writing for the screen is such a different experience from writing a novel, because you get to finish a novel, but you never really get to finish a script. You just get it to a stage where it’s passed onto other people, who interpret it in different ways. But fortunately for me, when those people are directors like Natalie James and actors like Emily Mortimer, Robyn Nevin and Bella Heathcote, your work is in very safe hands. Q: What can audiences expect from your upcoming appearance at Castle Hill Library? A: I try not to over-prepare for these things. Partly because I’m lazy, and partly because I like to be as honest and spontaneous as possible. I’m there to answer any questions the audience might have, to reveal all the mistakes I made so you don’t have to, and, hopefully, impart some hard-won wisdom while I’m at it. A: My second book, The Wife and The Widow, is due to come out in November. It follows two women; the widow of a murder victim, and the wife of the accused killer. Catch Christian at Castle Hill Library on Thursday, May 2, from 6.30pm. Find out more at www.thehills.nsw.gov.au.